Bild anklicken zum Anzeigen des gesamten Doppel-Bogens! / Click to show complete double-sheet! and tend the graves of departed ones. are guides to agricultural crop seasons all around the year. 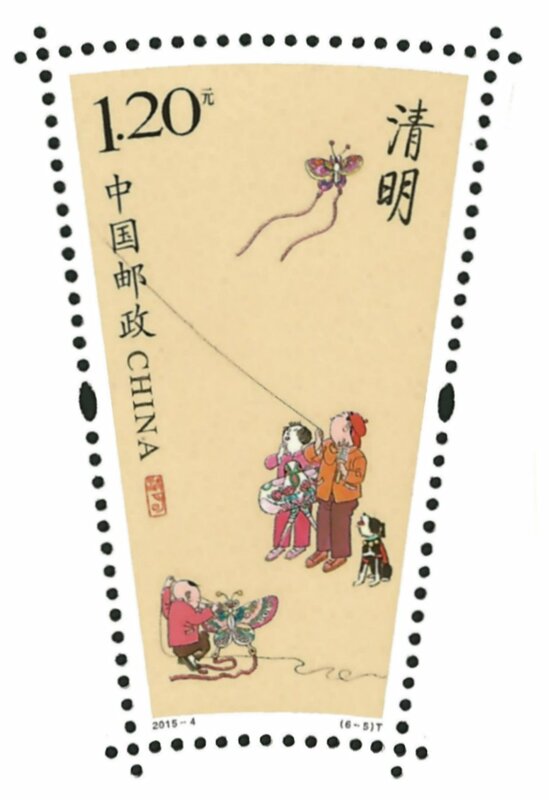 The QingMing stamp contains three kiteflyers and three different kites (two butterfly kites, and a swallow kite). For more information about QingMingJie have a look at the 2010 QingMing Festival edition.